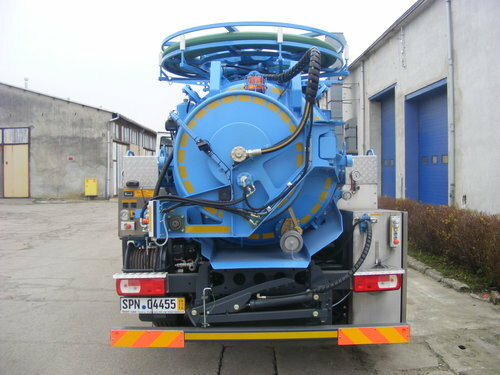 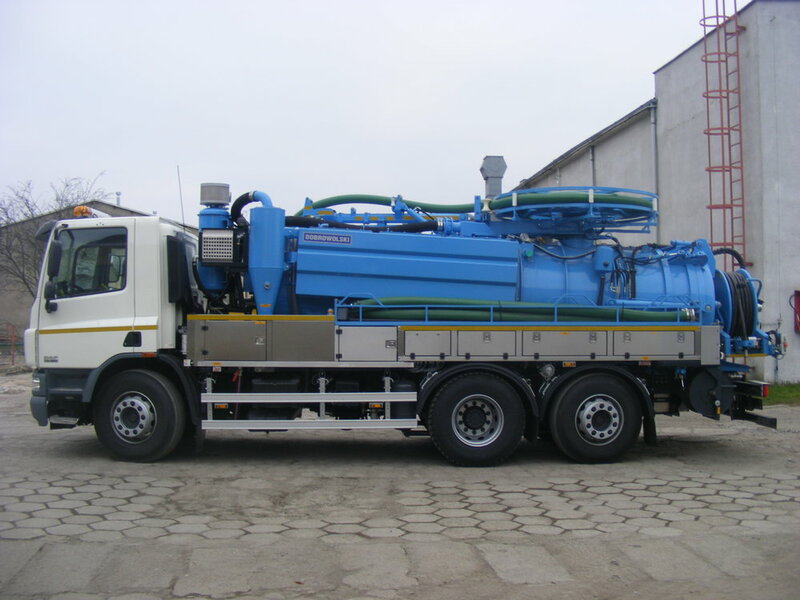 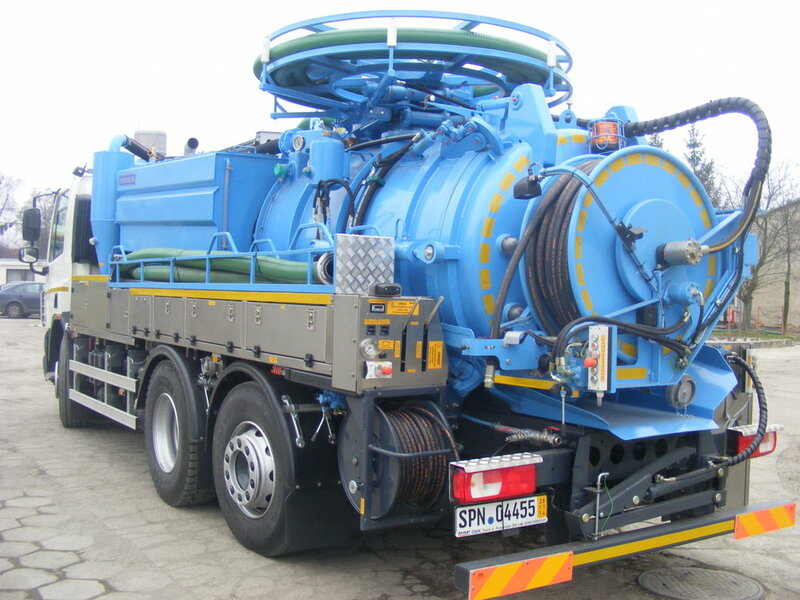 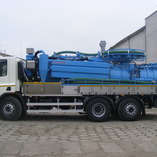 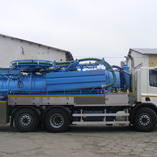 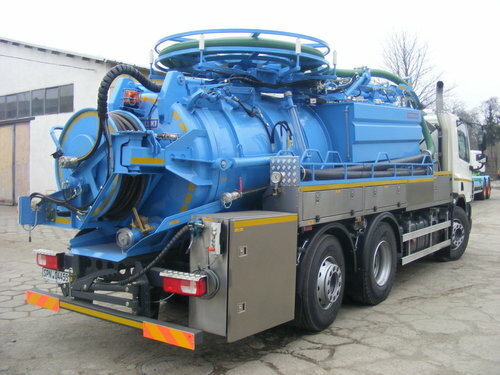 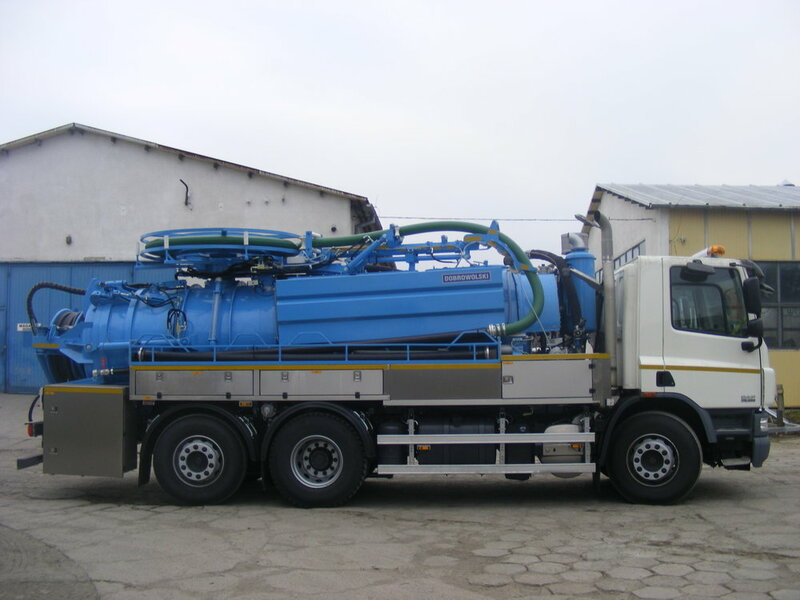 DOBROWOLSKI company has produced a specialized SSC 10 tanker, used to clean sewage systems, for Municipal Water and Sewerage Company LLC. 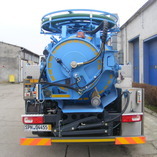 Two chamber tank with the volume of 10 000 dm3 with clean water chamber - 5000 dm3, and dirty water and sediment chamber - 5000 dm3. 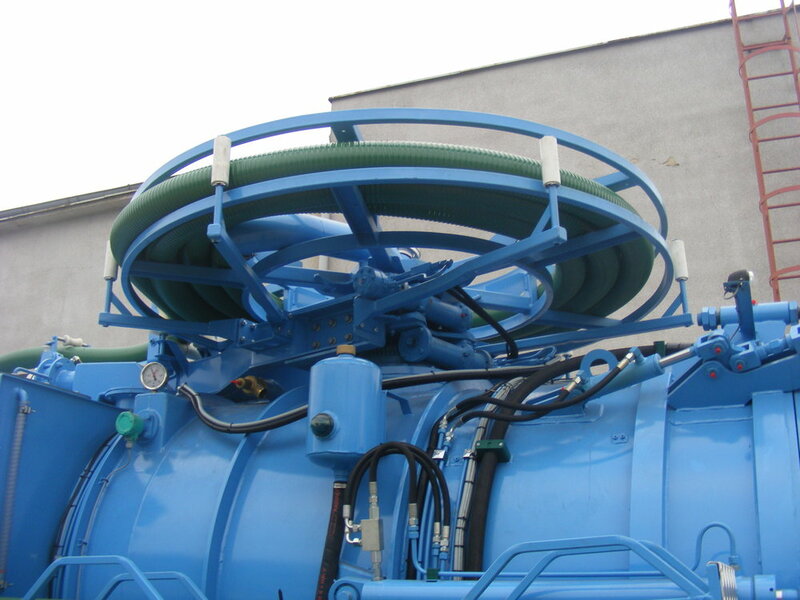 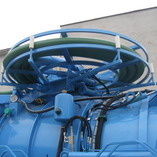 Suction and force pump (compressor), efficiency 1250 m3/h, operating range from 0,085 MPa to 0,05 MPa. 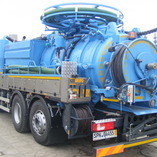 Plunger water pump with the efficiency of 263 dm3/min, installed high on the frame of chassis in order to allow operating of vehicle on a difficult terrain. 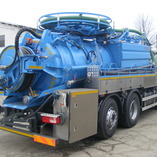 The tanker bodywork is based on a DAF FAN CF75 chassis.